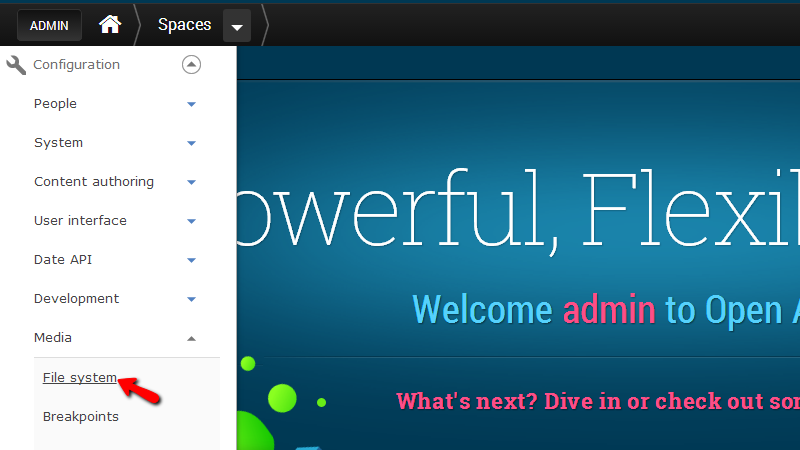 Open Atrium allows you to fully configure the paths to the uploaded files to your website. The settings provides different file path for the private and public files which you will be able to easily configure following the instructions provided in this tutorial. In order to access the page where the file paths should configured you will need to navigate to Admin > Configuration > Media > File System. Public file system path – The path to the files which will be publically available. Note that if you will be changing this directory to some other you will need to make sure that the new directory will be existing and it will have proper writing permissions. Private file system path – The path to the folder where the private files will be stored. Temporary Directory – The path to the temporary directory where the temporary files will be stored. 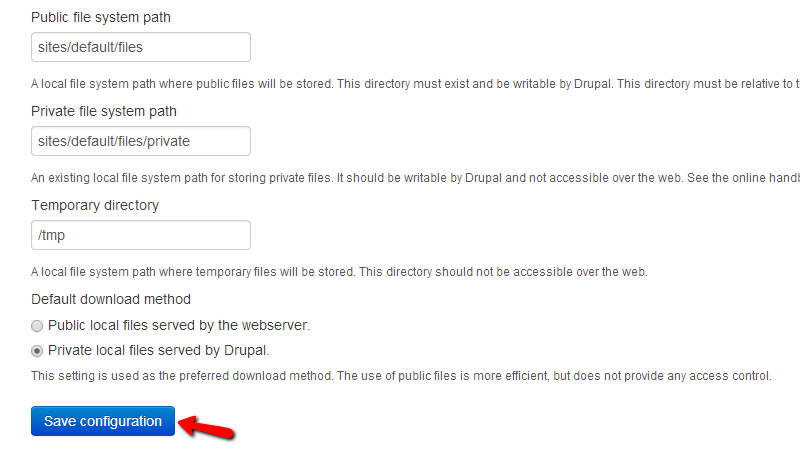 Default download method – If the files should be server by the Drupal application or they should be directly provided by the webserver instead. When you are ready with all of the configurations please use the “Save configuration” button located at the bottom of the page so you can be able to save the performed settings. Congratulations! You now know how to change the default file paths for the uploaded files of your website!